POSTED: Mon, 02/01/2016 - 17:00 | POSTED BY: Traci C.
If you're starting this month missing the Walt Disney World Resort and wishing you were spending a few days at the parks, we have a cure for your not-on-vacation-blues. The Disney Parks Blog is hosting a live stream of Fantasmic! tomorrow night. Fantasmic! is a 30-minute show at Disney's Hollywood Studios that features 50 Disney characters and performers, water effects, pyrotechnics, and more. 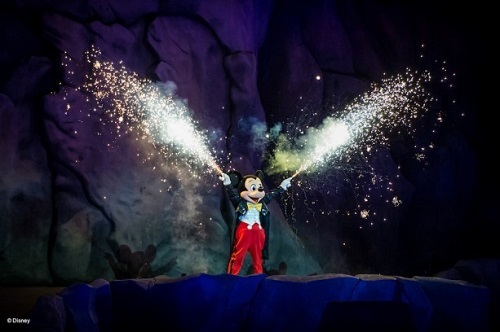 The show takes guests into Mickey's imagination with moments from Disney films and an appearance by Disney villains. The live stream of the show begins at 6:50 p.m. ET at the Disney Parks Blog. Guests can get a behind-the-scenes look at the show starting at 6:45 p.m. ET. Will you be watching the live stream of Fantasmic! online tomorrow night? Let us know in the comments.